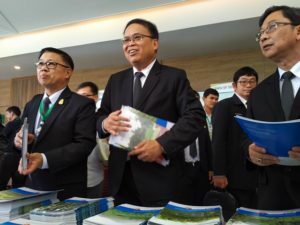 Agroforestry guidelines are to be established by the Association of Southeast Asian Nations (ASEAN) to help its member states share benefits with their 650 million citizens thanks to the leadership of the ASEAN Working Group on Social Forestry. The development of the guidelines for member states of ASEAN was formally endorsed and given highest priority at the 11th annual meeting of the ASEAN Working Group on Social Forestry, held on June 15, 2017, in Chiang Mai, Thailand. The group consists of high-level representatives from forestry ministries in the member states and makes recommendations for ministerial-level action. To be led by the World Agroforestry Centre (ICRAF), the guidelines are to be developed through an open consultative process that embraces governments, community groups and others. The guidelines are to provide a broad framework and principles that member states can adopt as appropriate for their national and local contexts, which is in keeping with the nature of agroforestry itself. ‘The right tree in the right place’ is a guiding slogan of much of ICRAF’s work throughout the world. Also in keeping with the principles that underpin ICRAF, the guidelines are to be built on scientific, local and policy knowledge to ensure that all voices are heard and included in the final document. “This prioritization is a response to demands from member states for technical and operational guidance on how agroforestry can better support their socioeconomic and environmental objectives and facilitate the achievement of targets under the SDGs, Paris Climate Agreement and the Bonn Challenge,” said Doris Capistrano, senior advisor to the ASEAN-Swiss Partnership on Social Forestry and Climate Change program, which has been supporting community forestry in ASEAN for more than 10 years. The program in turn is supported by the Swiss Agency for Development and Cooperation. A preliminary list of topics to be covered by the guidelines includes, first, a discussion of the international, regional and national policy frameworks that have bearing on the development of agroforestry across Southeast Asia. This would cover related policies that already support agroforestry, such as the Strategic Plan of Action of the ASEAN Cooperation on Food, Agriculture and Forestry 2016–2025. The principles that should inform the design and implementation of agroforestry programs need to underpin the guidelines and point to safeguards for vulnerable populations, including monitoring and certification options. 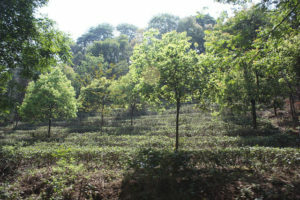 In essence, the guidelines would address the varying roles and objectives of agroforestry, including any trade-offs that might occur under certain circumstances. The guidelines would also present models of agroforestry practices suitable for diverse biophysical and socioeconomic conditions of the region, with examples of competitive business cases. Possible mechanisms for financing and sharing of benefits from agroforestry schemes that are developed would also be discussed along with mechanisms for adaptive learning, communications and knowledge exchange. The role of research and analysis, including participatory action research, would also be covered. 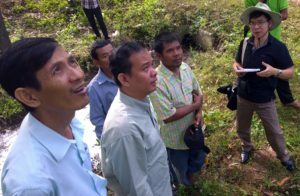 “ICRAF is very proud to be asked to lead the development of a guiding document that can help the governments of the region achieve their goals,” said Ingrid Öborn, regional coordinator of ICRAF in Southeast Asia. “We have been providing technical support to the Working Group members for many years now. The call for region-wide guidelines is a very welcome outcome. We expect over the next few years that the guidelines will encourage much more agroforestry than we see at present, with all the benefits that this will bring, especially to the many millions of poor smallholding farmers who provide much of the region’s food. With an urgent and tight timeline in keeping with the demand for direction from member states, ICRAF must now bring together diverse expertise from across the region to gather knowledge about policies, regulations and agroforestry practices best suited to a range of environments from coastal mangrove forests and deltas through lowland rice-production landscapes to uplands and mountain areas. The ASEAN-Swiss Partnership on Social Forestry and Climate Change (ASFCC) is a partnership program that aims to contribute to the ASEAN Mandate and Policy Framework through support through the ASEAN Working Group on Social Forestry and the ASEAN Multisectoral Framework on Climate Change towards Food Security. With assistance from the Swiss Agency for Development and Cooperation, ASFCC addresses interlinked issues of food security, poverty and climate change, particularly in forested landscapes in Southeast Asia through the Cooperation and Partnership Programme activities with ASEAN Member States. This work is linked to the CGIAR Research Program on Forests, Trees and Agroforestry (FTA). We thank all donors who support research in development through their contributions to the CGIAR Fund.